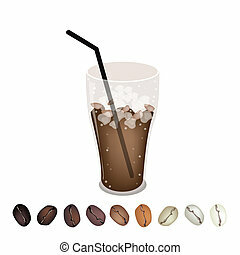 A glass of iced coffee. 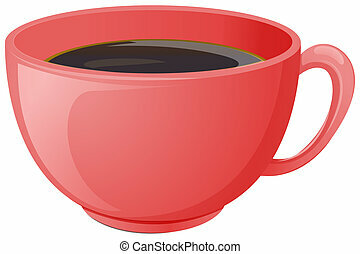 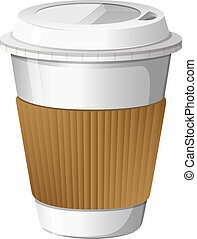 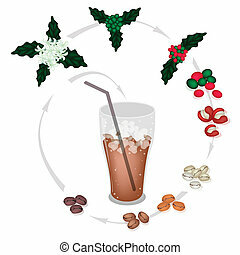 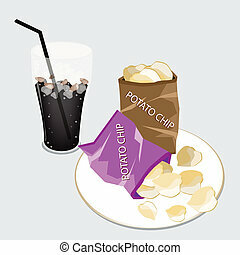 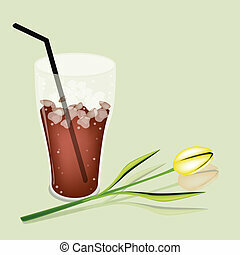 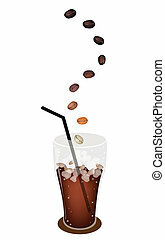 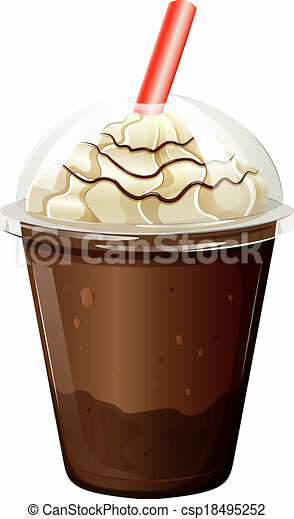 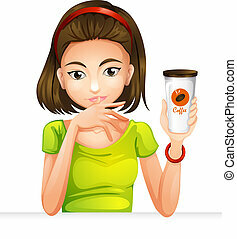 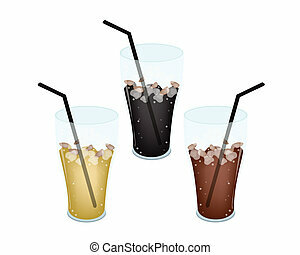 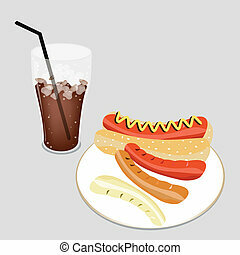 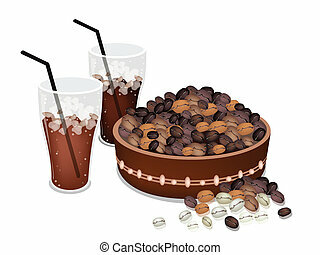 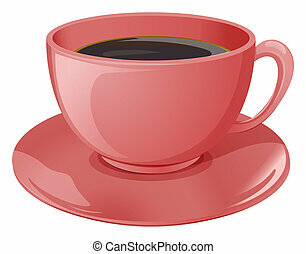 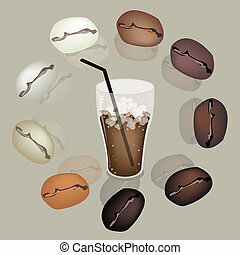 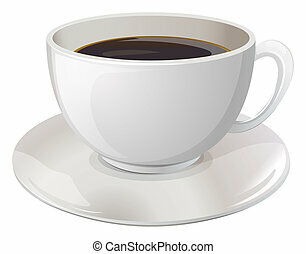 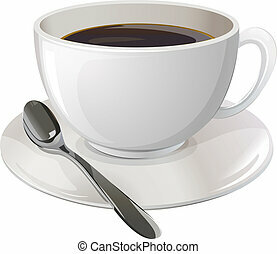 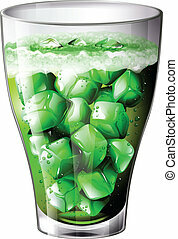 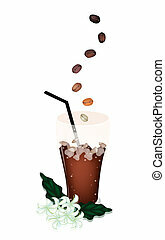 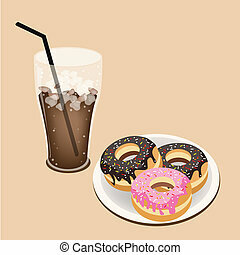 Illustration of a glass of iced coffee on a white background. 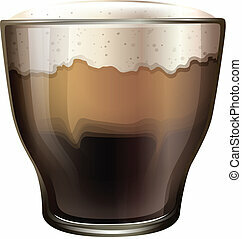 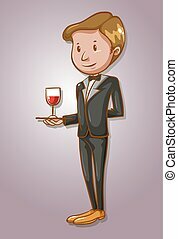 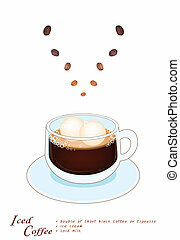 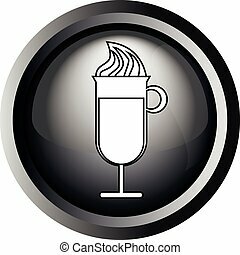 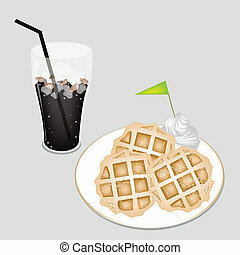 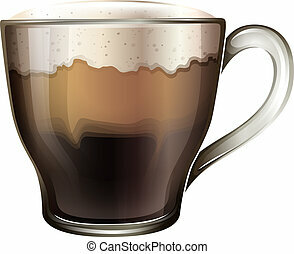 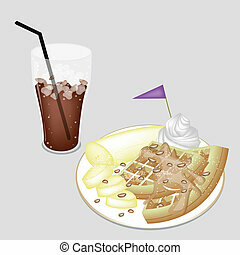 Card with a glass of coffee with ice cream, in round frame in 3d over a white background, in black and white outline style. 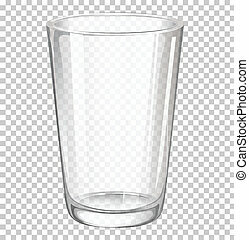 Digital vector image.